Klayman: I'm Tired of Hearing This, Jim! Talk Is Cheap! What Are You and Your Congressional Repub Friends Like Lindsey Graham Actually Doing About This! 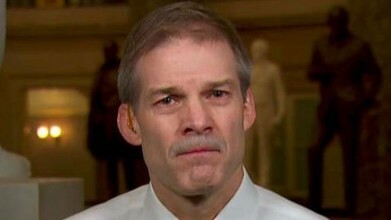 U.S. Rep. Jim Jordan, R-Ohio, slammed a U.S. Justice Department decision to seek a FISA warrant -- and blasted what he described as the deceitful methods used to persuade the FISA court to grant it -- during an appearance on Fox News' "Hannity" on Thursday night. "They didn't tell the court the dossier was unverified," Jordan told Fox News host Sean Hannity, referring to the court created under the Foreign Intelligence Surveillance Act. "They didn't tell the court who paid for it, namely the Clinton campaign. They didn't tell the court that Christopher Steele, the guy who wrote it, was desperate that Trump not win. They didn't tell the court that Christopher Steele had been fired by the FBI because he's out leaking information. That's a lot not to share with a secret court, especially, Sean, when you're getting a warrant to go spy on the other party's campaign.